All right, song 2! I feel like PT makes this feel like Axe Cop’s “Temple of Doom” story. I don’t know. Thanks Parry for giving us more beats to get down to. Part two comes next week, or you can get the full origin on Patreon. Get all the details in the blog. See you there! Perhaps one notable difference is now that Malachai is older, he knows who some of these celebrities are. I am pretty sure his main knowledge of Morgan Freeman is from the narration impression meme videos that are out there. If you didn’t see it yet, last Thursday’s page of the Songster (the new Axe Cop storyline) had its first Parry Gripp song posted with it. Also, as always, if you want this comic in high res, and a week early, consider Patreon. Thanks for reading! I bring you another loosely scheduled installment of UNCHOPPED. The cotton balls used in the last scene made their way into this one in the form of a bad guy who bombs you with extra fluffy cotton balls, the Cotton Bomber. What I love most though is this storyline about Wexter returning to 4th grade with his dad so he can finish school. This was the element that made me love this story. Our dad dropped out of highschool and ended up going back and finishing later in life. I assume that inspired this idea in Malachai’s head at the time. Speaking of Malachai, he is 12 years old as of yesterday, so happy birthday little brother. He is singularly obsessed with video games now, just as I was at that age. 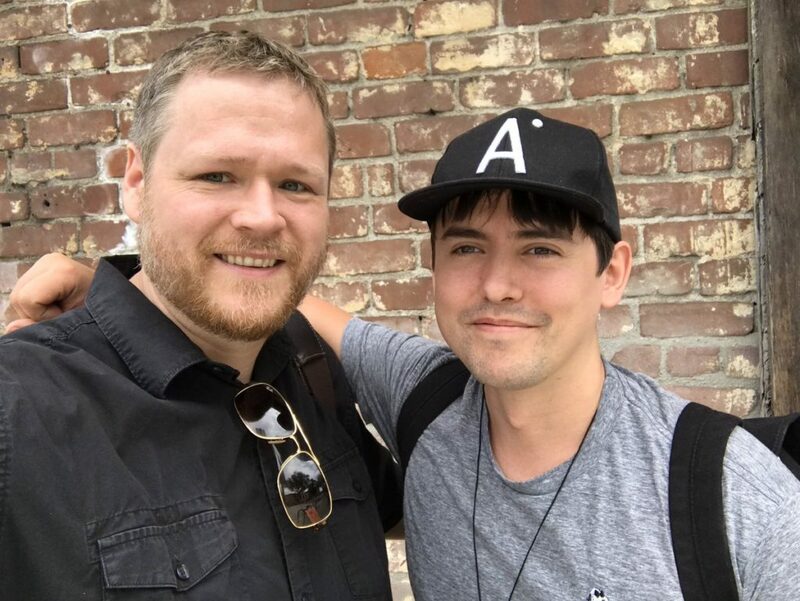 We chatted and were fantasizing about an Axe Cop video game. It really would be the greatest game ever made if done right. Thanks for reading, and if you know any game companies who want to make the greatest video game ever, send me a message. I had a busy Wednesday and Thursday this week, so I decided to post on Friday. Surprise! The next mission Wexter and his dad go on is here. They fight Codack’s room mate, the Minder. This whole story was pretty much made up during one very fast paced play time while we were working on Axe Cop: President of the World. I was spending a month with Malachai to work on that story and he kept wanting to go off on tangents and side stories. One of my favorites was this whole series of events with Wexter and his dad. So you will see things like the last bad guy was based on a Kodak camera and the Minder can be stopped by cotton balls. There was a bag of cotton balls laying around at the time and they became integral to the story. As you will see next time, there is even a bad guy called the Cotton Bomber. But my favorite part of the story is yet to come. If you enjoy new Axe Cop content and want to help keep it coming, please become a Patreon supporter. Every little bit helps. Thanks for reading! This part of the story was highly inspired by two things. The new Kodak camera I had bought for recording our creative sessions, and our old dad. The camera became the inspiration for Codack’s name, his address and the fact that he must be killed by being placed in 3 meters of water. This was a small sports camera I had bought. One of the cheaper ones in the store, just to have running while we played. We also wrote a lot of this one while in the car, so we had the GPS there as well. The moment when we find out that Wexter’s dad never finished T Rex school is one of my favorites. It figures in later on as well, as you’ll see. This is inspired by having a dad who was born right at the end of the Great Depression into a very poor family. He dropped out of school at a young age as many did back then. He eventually finished school and went to college as well. 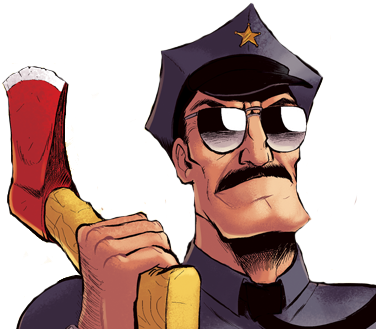 I started a Patreon page for Axe Cop, if you feel like supporting the comic. Thanks to all those who already have! That’s all for now. Next week, Wexter and his Dad go on another mission on their little father and son outing. This time they will take on “the Minder”. See you then!